Like other people-related disputes, inter-state river disputes in India are congenital. People live in peace for ages till the hegemonic state etches a border through them, dividing them up and dividing up resources such as water. Every riparian state claims its rights on rivers but does not bother to consult people living in the river basin on their needs and problems. Nor do states deign to think of them as stakeholders whose self-interest lies in the judicious use and management of river water and keeping it pollution free. Rather than community-driven efforts to solve water disputes, states have gone to politically appointed committees or the courts. Of late, though, through the efforts of civil society and academicians, governments have realised that decentralised, community-driven efforts may prove efficacious in resolving river disputes since these communities lie on both sides of the border and are better able to relate to each other’s problems. One example is from the south. Non-profits such as Jal Biradari, Tarun Bharat Sangh, Paramarth Samaj Sevi Sanstha and India Water Council roped in the Karnataka and Telangana governments and brought together members of civil society, academicians, and people from the river basin communities for discussions in Dharwad, Vijayapura, Madurai and Hyderabad. The meetings were conducted over a year’s time. 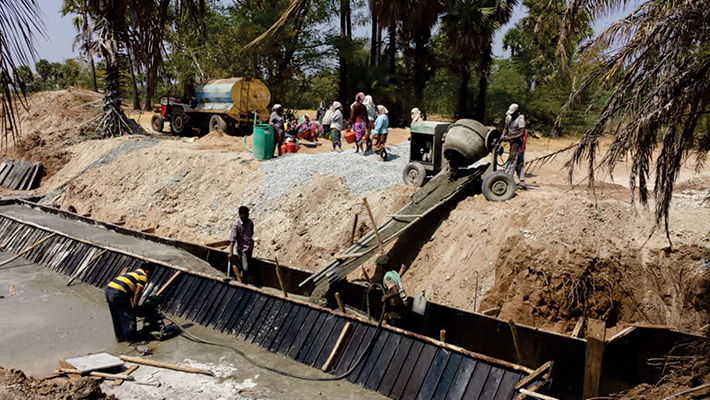 Significantly, the discussion venues were in Karnataka, Tamil Nadu, Telangana and Andhra Pradesh – states in long-drawn conflicts over sharing water from the Krishna, Cauvery and Godavari. The main sponsor of the National Water Convention in August last year was Karnataka, and Siddaramaiah had attended it as then chief minister. Telangana followed up with a day-long National Convention on Rejuvenation of the Krishna in May this year. 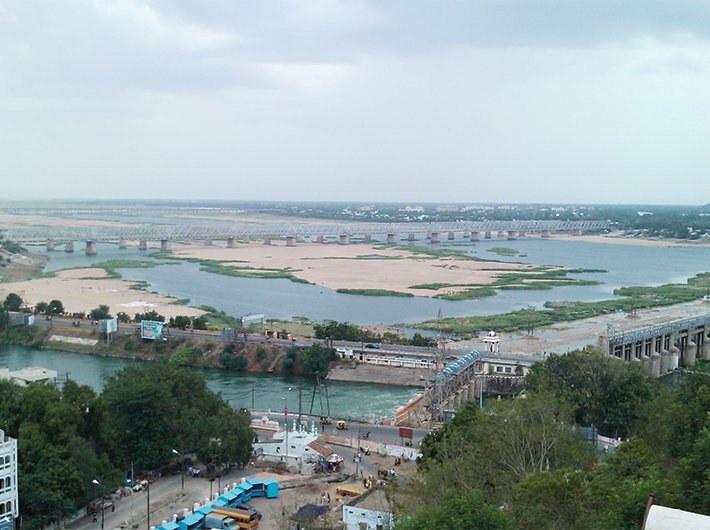 For Telangana, the river in focus is the Krishna: its water is inequitably distributed, inefficiently used and wasted, dangerously polluted, and its bed rampantly encroached upon and illegally mined for sand, leaving its ecosystem suffocated. Telangana wants Maharashtra, Karnataka and Andhra Pradesh, where the river basin also lies, to help rejuvenate the river. On its part, it has taken the message to the people living in the Krishna basin in its territory, hoping the others will follow suit. 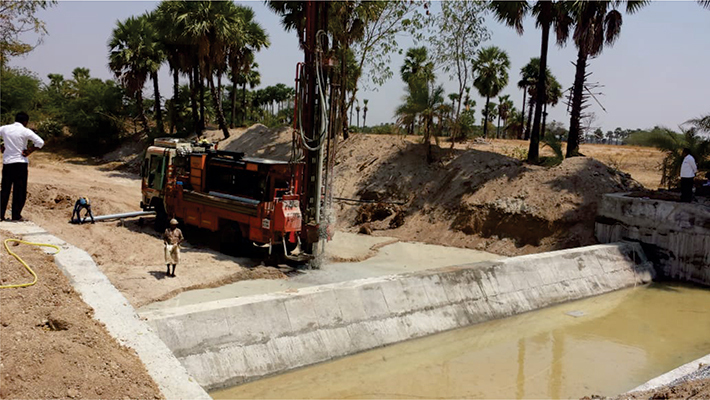 One aspect of the Hyderabad declaration that has won enthusiastic endorsement from civil society, water rights activists and conservationists is how it envisions a sharing of best practices in all four Krishna basin states, for which “trans-border teams will be created and will mutually benefit and empower each other”. It offers to institutionalise interaction between civil society and government in all four states at the ministerial, departmental and panchayat level, with all efforts aimed at healing the “damaged river system and river basin ecology”. Maintaining the flood plains is most important, says Dr Arun D Sawant, former vice-chancellor of the University of Rajasthan, now a trustee of the Thane-based Waste to Energy Research and Technology Council, India, co-founded by the National Environmental Engineering Research Institute (NEERI) and the Earth Engineering Centre of Columbia University. Ultimately, he says, it’s the job of the government to meet the demands of the people, and people should through discussion arrive at realistic estimates of what needs to be done and can be done, joining hands with the government’s forest and other departments to increase plantation on their own land and government land as a check against erosion. Besides, they should become watchguards, conserving water, preventing pollution and sand mining. Vinod Bodhankar, a founding member of the Indian Water Council, says conferences and summits on rivers should not be conducted on state or regional bases but on river basin basis – say, Krishna river basin conference, and so on. But not all governments are forthcoming on this. Even Telangana’s initiative is confined only to the Krishna, whereas it has a running dispute with Maharashtra on the use of Godavari waters too. The Krishna dispute is itself quite complicated: a lot of water from the Koyna dam in Maharashtra drains into the Arabian sea after hydel power generation and Telangana and Maharashtra’s drought-prone regions both say it should rather be given to them. Telangana’s irrigation minister T Harish Rao says, “Krishna water is flowing outside the basin whereas basin areas are starving for irrigation and drinking water. What’s more, by diverting the water back to the basin, five times more electricity can be produced.” Maharashtra’s drought-prone regions, too lay claim to the wasted water, with activists like Anil Patil, from Solapur, saying it rightfully belongs to Maharashtra and should be diverted to places like Latur. Paranjpye speaks of the political pressure that Maharashtra will face to irrigate its drought-prone regions rather than allow the water to flow on to Telangana. What applies to the Krishna and to results from the Agrani sub-basin could well be the evolving model for resolution of water disputes across the country through people’s participation across borders. Given the current political and economic scenario, with even tribunals and courts finding themselves helpless, people’s participation in resolution of disputes could be the way forward. It could result in solutions that not only resolve the dispute but also sustain the river’s health. The Hyderabad declaration is the culmination of concerted efforts, beginning with the Dharwad declaration, which called for “community-based decentralised solutions to planning, rejuvenation, conservation and management of water resources, whether it is on a river basin management framework or revival of water bodies and aquifers”. Next came the Vijayapura declaration of August 2017, with activists from all states gathering at the behest of the Karnataka government resolving to see the river as “a natural resource for the basin-population to protect and share”. The Madurai declaration, of December 2017, saw 100 water activists from Tamil Nadu, Karnataka, Kerala, Andhra Pradesh, and Maharashtra describing themselves as “family members of the Cauvery” and resolving to look beyond political and state boundaries and form a river parliament involving farmers and stakeholders. Taking a cue from this, and the Hyderabad declaration, activists in neighbouring Andhra Pradesh, too, got together in Rajahmundry to form a “Godavari kutumbam (or family)”. Magsaysay Award and Stockholm Water Prize winner Rajendra Singh, also known as the Water Man of India, who was instrumental in bringing together activists and governments under a common platform, says such efforts are crucial as only community-driven, decentralised water conservation methods can resolve water disputes. The challenges persist. And they are not confined just to the southern states. Delhi and Haryana have a seemingly unending dispute over sharing Yamuna water. Bihar blames the floods in the Ganga on the Farakka barrage in downstream Bengal. People’s participation could show the way forward. And the Hyderabad declaration is a shining beginning.